When I met Patti and Padre we dined at the Cracker Barrel, fine cuisine indeed! 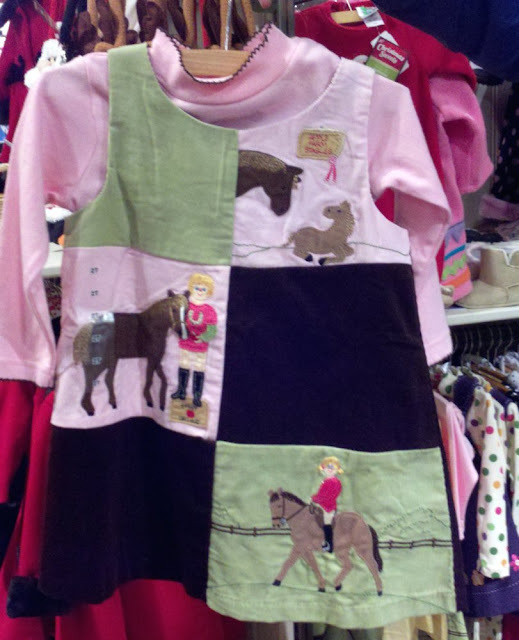 And on our way out we checked out the merch, which was Christmas-ready and jam-packed with equestrian-themed kids clothes. It almost -- almost -- made me wish I had kids. Almost. I went to cracker barrel the other day and saw clothes like that! TOO DARN CUTE! It makes me wish that my girls weren't so big - eldest would love the horse themed wear but sized and styled for Amazons, please! What? 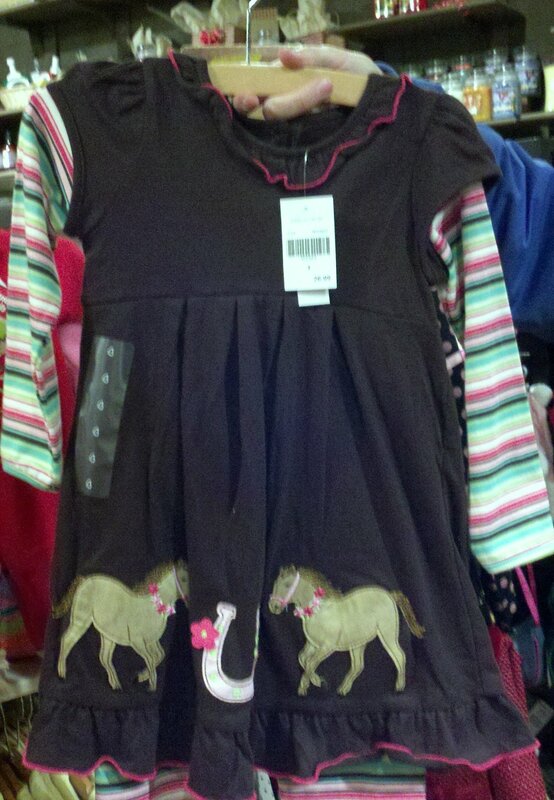 They didn't have those darling clothes in adult sizes?! Adorable! Now I have to really hope I'm having a girl.. I buy costumes at Cracker Barrel for my niece. Last year she got a cool witch dress. This year a beautiful princess gown complete with tiara and scepter!